Last Thursday, our audience had the chance to listen to the world premiere of LIFE!, the show piece we’ll be proud to present the weekend in Gateshead to compete at BIC (Brass In Concert). 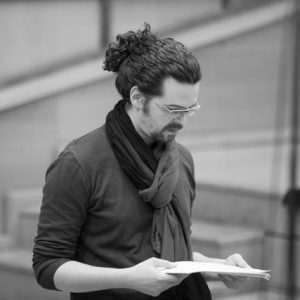 This piece was written by our new composer in residency: Fabien Cali. To ensure you get familiar with this young talent, here is the interview we did to welcome him in our group. PBB: Can you present yourself shortly? How did you become the professional you are today? I first became concerned about music as a self-taught rock guitarist before moving to more extensive studies at the Conservatoire National Supérieur de Musique of Paris. Today I compose concert music, film music and I try to find some time to continue to play live. PBB: Can you describe your work as composer? What are your inspirations? Beyond aesthetic considerations, sensibility and sharing in music are the main things for me. I try to think the writing techniques for emotional purposes and to stand back from systems and theoretical speculations. I really like Berg, Varèse or Dutilleux for that. Then comes the special moment of sharing the music with musicians – and therefore the audience – which is the outcome of all this work. This desire to share is for me very close from the rock or pop energy, when the concert is much more a festive moment than a solemn one. We often find these two sensations mixed during Brass Band concerts. PBB: So you’re a polyvalent composer, and we’re glad you start your brass band’s works with our brass, but is there a style or a musical environment that you prefer? Everything interests me. There are amazing things in every musical genre and style. It is the artistic gesture that counts above all for me. Even if the content of this gesture is of course strongly different if you listen to Britten, Coltrane, AC/DC, Michael Jackson, Purcell, Goldsmith…. PBB: What are your projects for the future? I begin an exicting project of musical tale for an early music ensemble. Then I will continue some film music projects in parallel of several chamber music commissions, for various festivals in France and abroad. And certainly a new piece for Paris Brass Band to come ! PBB: If you could have one project to work on, what could it be? The most important thing for me is to keep writing music, thinking up new projects through new encounters. Preferably as long as possible ! PBB: The Paris Brass Band only starts knowing your musical personality, but how did you heard about our band? What was your main motivation for working with us? I’ve composed a piece – “Furie” – for the last album of Alexis Demailly. Shortly after, I wrote another one for Bastien Baumet, that we created in concert. 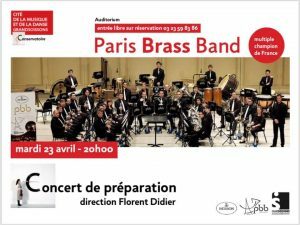 It is them who make me discover Paris Brass Band and made me want to understand more in details the Brass Band musical world. And I really thank them for that ! PBB: As a final question, what can we wish you? What can we wish US? I’m really glad to consider these 2 years as an associate composer with PBB. It has started very quickly with this first commission “LIFE!” for Brass in Concert and it has been a real challenge to think up, compose and work this piece in such a short time. The whole band has shown incredible energy since September. I really hope we will make this moment as enjoyable as possible for people in Newcastle ans I obviously hope also a great performance in the contest. And looking forward to what follows ! 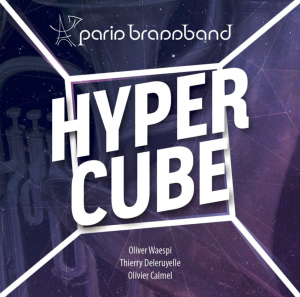 Hypercube, our last CD, is finally out!